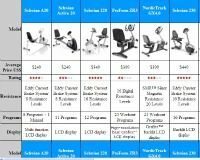 If you have been researching commercial exercise bikes, you likely have already come across the major brands of these exceptional quality machines. Makers such as Cybex, Life Fitness, Nautilus, Precor, and Star Trac have placed their cardio fitness products in facilities all over the world, and many individuals are discovering how affordable they are for home use. 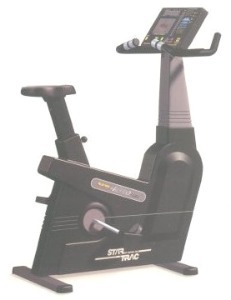 There are a few things to look for when shopping for commercial exercise bikes. As with any cardio equipment, the best advice is to avoid buying cheap equipment. It won’t last and will usually cost as much to buy a replacement part as it did the whole bike. Many light commercial models are surprisingly affordable and are much better built, and you can also afford a commercial model if you know where to look. Commercial and health club upright and recumbent bikes are quite expensive but a smart shopper can save a bundle and get amazing deals online, particularly with a remanufactured bike. To give you an idea of what we mean, check out the best-selling Spinner® Pro that sells for $650 as a reconditioned model. If you were to buy the Pro new, out of the box, and never ridden, this light commercial bike with its 38-lb flywheel and 2-year parts warranty (no labor), sells for a list MSRP of $1,199. 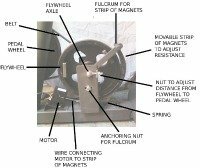 The advantages of buying a used commercial bike are that you can get a health club quality machine for up to 60% off the original price. Most models are self-powered for the electronic display (no cord plug-in required), and the durable quality components are virtually maintenance-free. The flywheels are 38-lbs to 44-lbs with upgraded bearings, and you’ll find they have accurate heart rate monitoring systems, programs that include goal-based workouts and Fitness Test protocols, and great graphic displays. In short, these bikes have the best of everything. Commercial bikes are comfortable, fully adjustable in the saddle and handlebars, and offer superior resistance as well as a quiet operation. 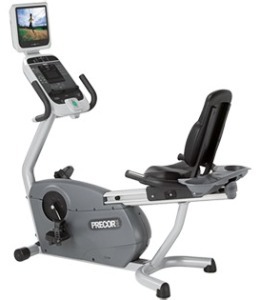 Buy a model from a top brand name like Life Fitness (maker of the original LifeCycle), Precor, Star Trac, Cybex, or True and you are getting an engineering marvel. If you are tired of inhaling carbon monoxide from all the cars on your busy city streets or just love riding at home, these high-caliber bikes offer exceptional non-impact cardio workouts in the convenience of your own home. You can buy commercial exercise bikes most anywhere, but it is highly advisable you buy from a reputable dealer, a company that also remanufactures all types of used cardio equipment at great savings, and even offers a warranty plus lifetime tech support on every bike they rebuild.